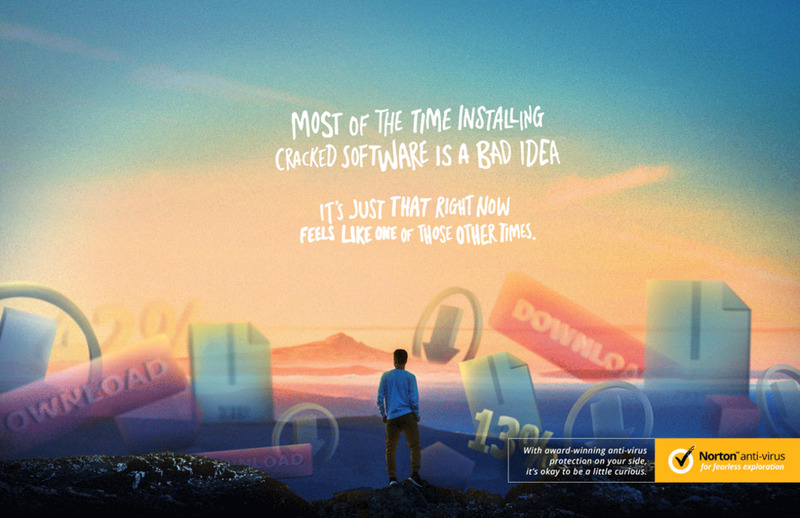 When you've got powerful anti-virus protection on your side, it's okay to be a little curious. 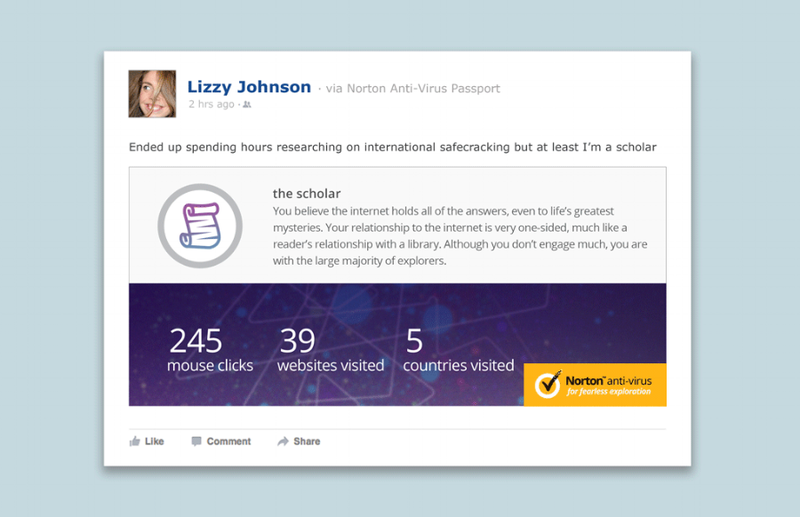 We created Norton Passport, a browser plug-in that's similar to a pedometer or a health app. But instead of monitoring your body's habits, it monitors your browsing habits. The whole purpose is to help you become more aware of your tendencies and potentially inspire you to start exploring other parts of the web. You can create an account or login with social media to start a personal exploration log. Passport then shows the number of threats blocked during the session as well as a "path" of exploration. Your path is based off of the map of the internet (yes, it really exists). The map is made of a series of spheres, each representing a different site. These sites are color-coded and sized based off their location and popularity. Certain browsing habits get categorized as certain types of explorers. These are things based on data like visiting websites in other countries, duration of time spent browsing, types of websites visited, and number of clicks. It's kind of like a Myers-Briggs personality test. So far, we've identified at least eight distinct explorer types. (like if you somehow ended up spending hours down a rabbit hole of knowledge regarding international safecracking). The end goal is to help people become more aware of their habits and perhaps explore other parts of the vast internet. There's a ton of cool stuff out there. You just gotta have the courage to go find it. When you're protected, why not?